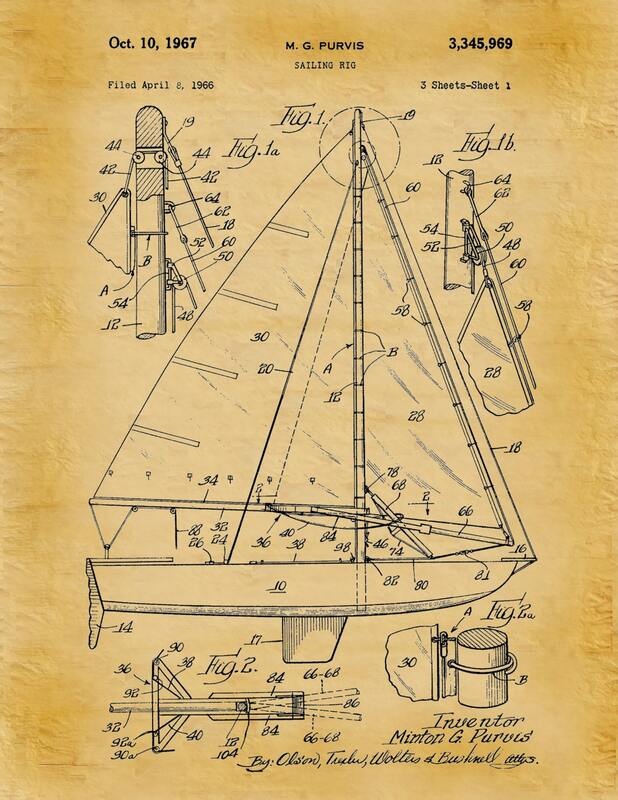 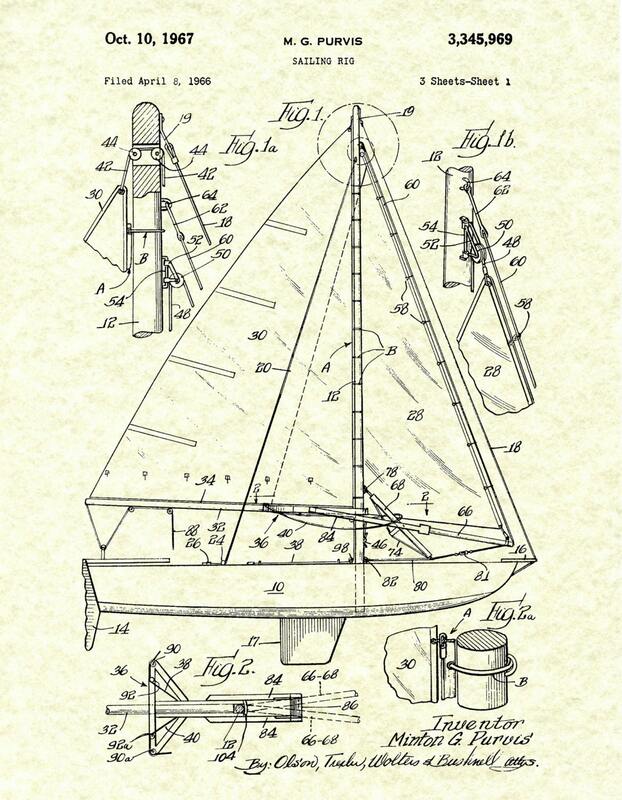 1967 Sailing Rig Patent designed by Minton Purvis of Wilmette, IL. 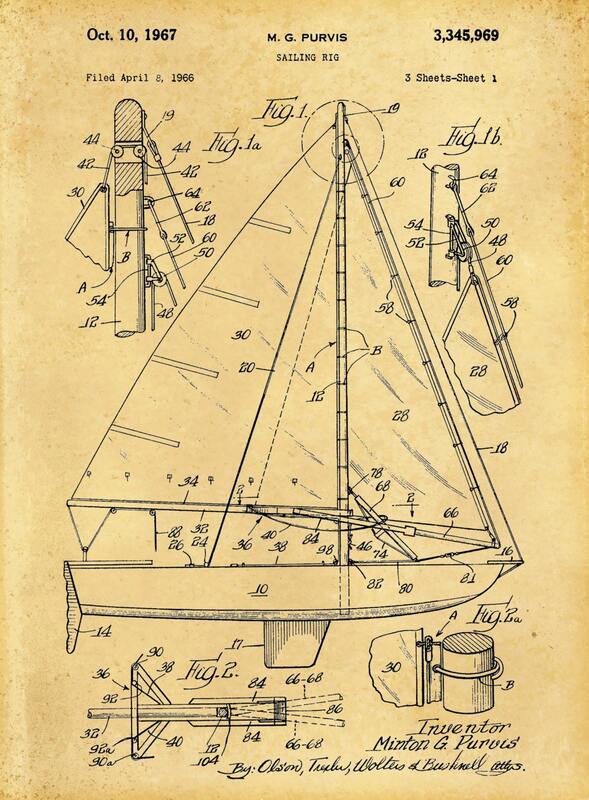 The patent was issued by the United States Patent Office on October 10, 1967. 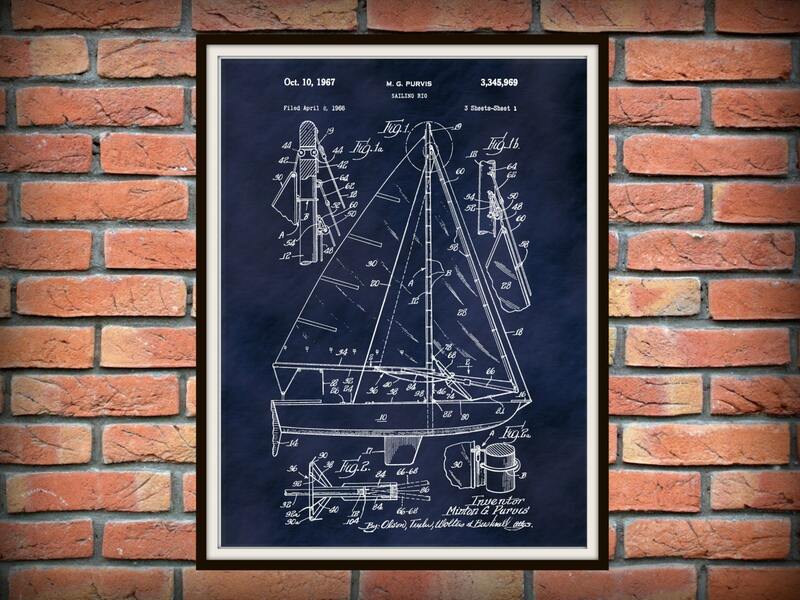 Great print & Linda is the kind of seller you are looking for: quick, helpful and super nice feedback. 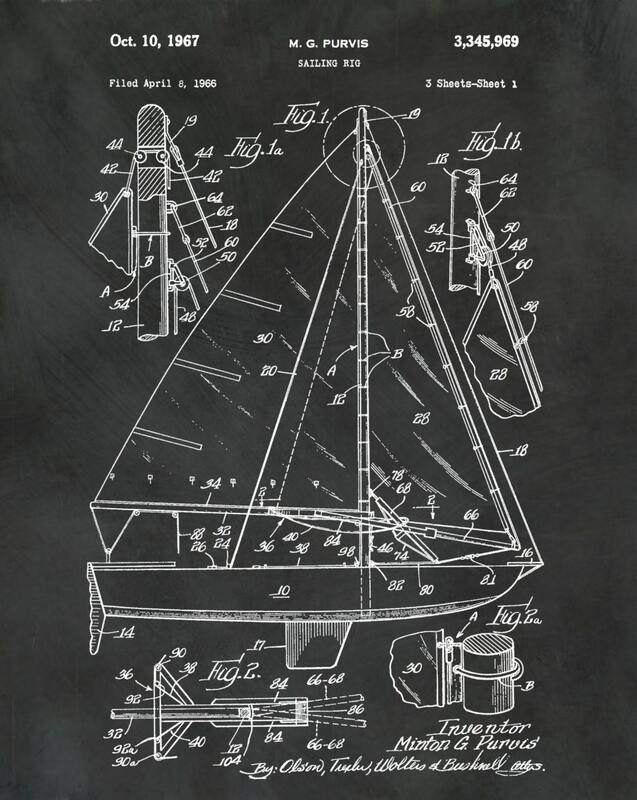 Will recommend Linda and BlueMoonPatentPrints any time again!